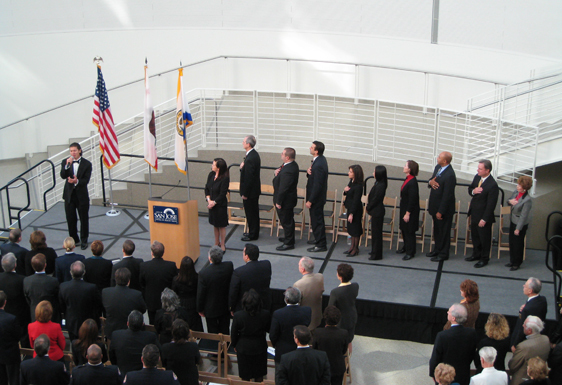 The Inauguration of newly-elected Mayor Chuck Reed, along with five city councilmembers: including newly-elected District 1 Councilmember Pete Constant and District 3 Councilmember Sam Liccardo; and re-elected District 5 Councilmember Nora Campos, District 7 Councilmember Madison Nguyen, and District 9 Councilmember Judy Chirco. Hosted by Connie Martinez of 1st Act Silicon Valley, the ceremony included each Councilmember and the Mayor taking the oath of office accompanied on stage by friends and family. Each official also had the choice of who to administer the oath. 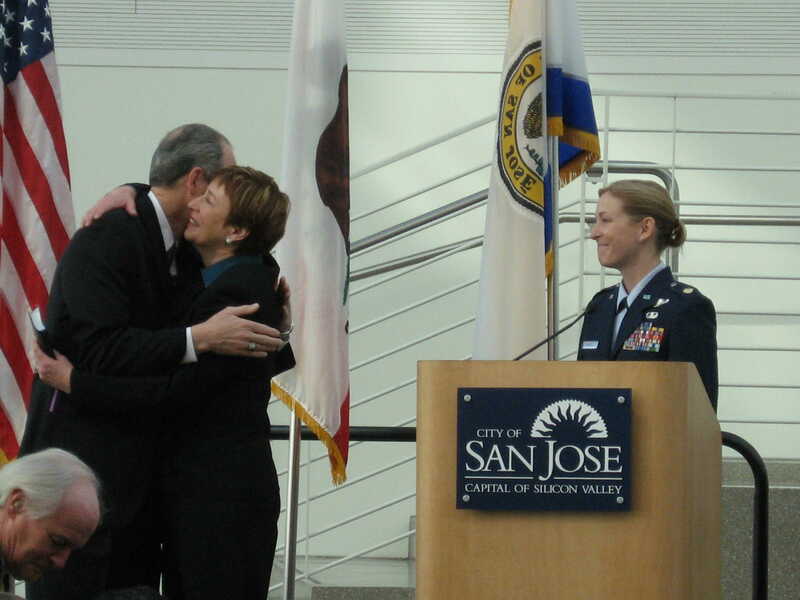 Major Kim Campbell, USAF, Mayor Reed's daughter, administered the oath of office and his wife, Paula, stood at his side. The ceremony included brief Inaugural Remarks by Mayor Reed. 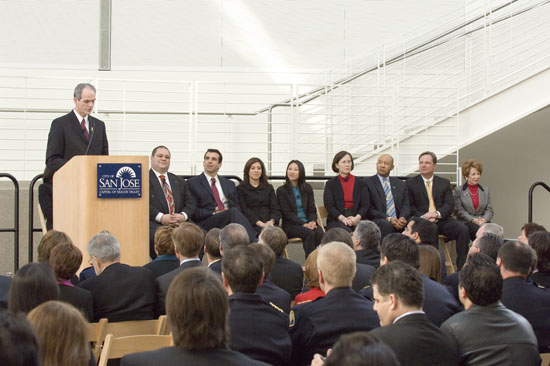 The event was held in the Rotunda of the New City Hall, and viewed by an audience of over 900 people, including audiences in overflow rooms watching on a live telecast. It was a flawless event, despite the many people involved and the overflow crowds. Good planning and excellent execution produced an event filled with meaning and dignity that lasted less than one hour.